An affordable, yet striking paperweight award, CRYSTAL WORLD's “Pyramid” is made from the world's finest, optical, fully-faceted crystal. 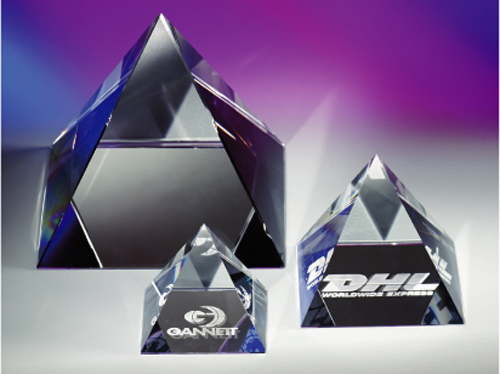 "Pyramid" will make an ideal recognition corporate or executive gift. Available in several sizes. 5" x 5" x 4 3/8"
Etching Area: 4 1/2" x 4 1/2"